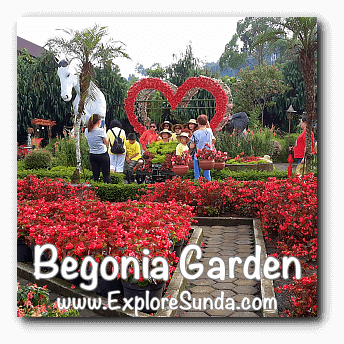 Begonia garden in Lembang (Kebun Begonia in bahasa Indonesia) is one interesting place to visit. Located on Maribaya street no. 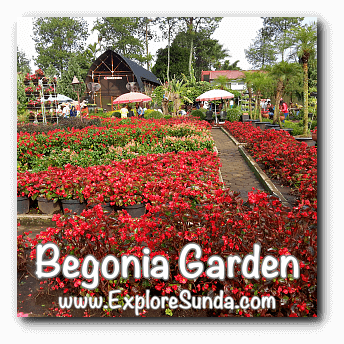 120, this flower garden is not far from downtown Lembang, approximately 10 minutes drive on a normal day. 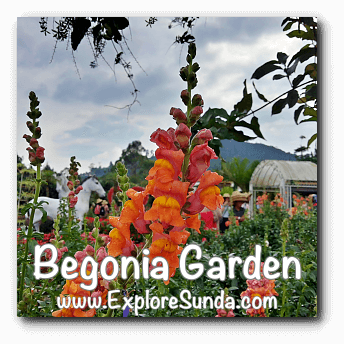 The main attraction here is a garden full with blooming flowers. 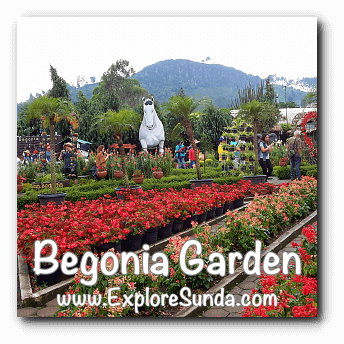 It is a sight to be hold, since it is not everyday we can find this kind of flower garden in the land of Sunda. Thus, it is a perfect place to capture many pictures :) No wonder, we must pay extra Rp. 50,000 for the DLSR camera. The cameras in our smartphones are already included in the Rp. 15,000 entrance ticket though. Entering the garden, there is a pile of straw hats we can borrow, which we can return them at the exit. 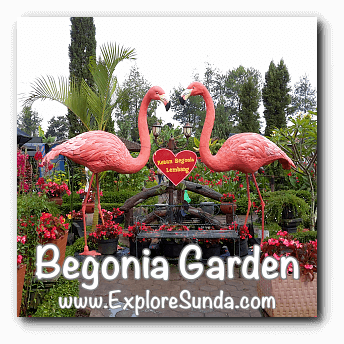 Seeing such a beautiful flower garden, do you want something similar in your own garden? 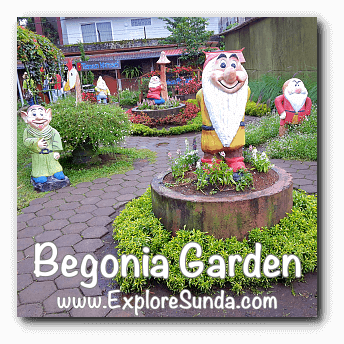 It's simple, this garden has a nursery where you can buy potted flowers. The price is more expensive than similar nurseries in Cihideung, though. 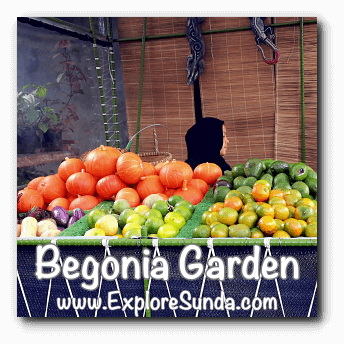 Kebun Begonia also sells some vegetables, such as pumpkins and lettuce, they even have a greenhouse for a self picking cherry tomato. Tired of taking pictures and shopping? 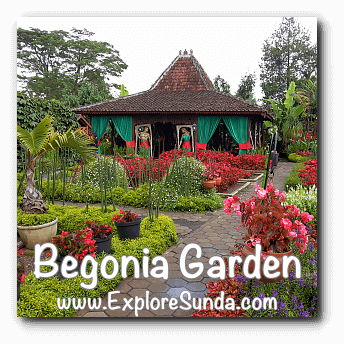 We still can enjoy the beauty of the garden while enjoying some snacks at the cafe. Although the service is slow and the taste is just so so. Since the garden is an open area, the cafe is always crowded during the rain. Visitors go there to find some shelters and hot drinks and food to warm them up. 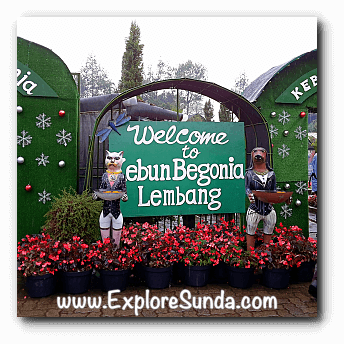 The rain is common occurrence here because being in highland, the weather in Lembang is always cool with unpredictable rain drizzles, which can stop and go all day long.